On October 23, 1920, Tetsuya Theodore Fujita was born in Fukoka Prefecture, Japan. 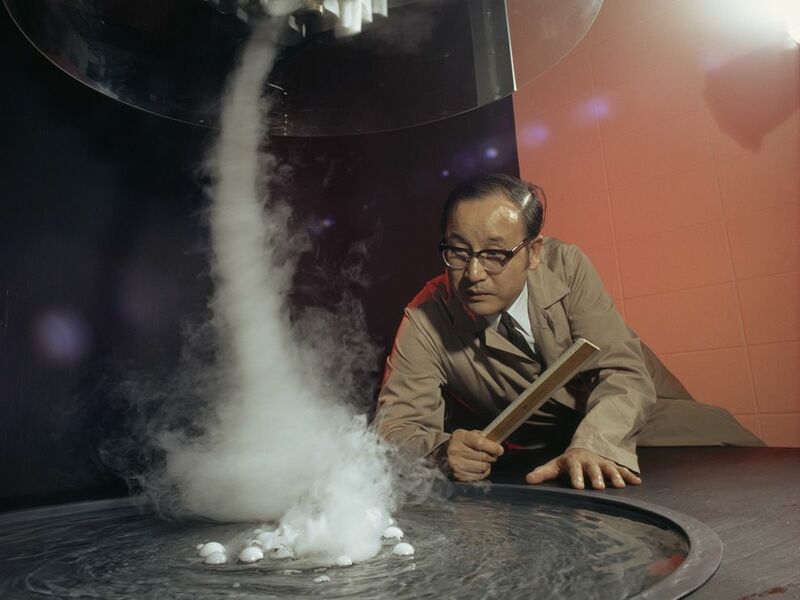 Tetsuya Fujita studies a tornado formation in his lab at the University of Chicago. Fujita developed a schematic for measuring the intensity of tornadoes, conveniently named the Fujita scale. On October 23, 1920, Tetsuya Theodore Fujita was born in Fukoka Prefecture, Japan. Fujita pioneered the analysis of photographs and films to determine a storm’s wind speeds. Fujita’s research revolutionized existing knowledge of weather systems. Fujita was known as “Mr. Tornado.” He created the Fujita scale, which measures tornado intensity based on the damage inflicted on manmade structures and vegetation. The scale extends from F0, a storm with winds in the 60-116 kilometers per hour (40-72 mile per hour) range, up to F5, where winds can reach more than 500 kilometers per hour (310 miles per hour). An F5 tornado can rip a house from its foundation. The U.S. National Weather Service uses the Fujita scale to warn people about the strength of approaching tornadoes. scale that measures the intensity of tornadoes, from F0 (weakest) to F5 (strongest). to force something on something else.